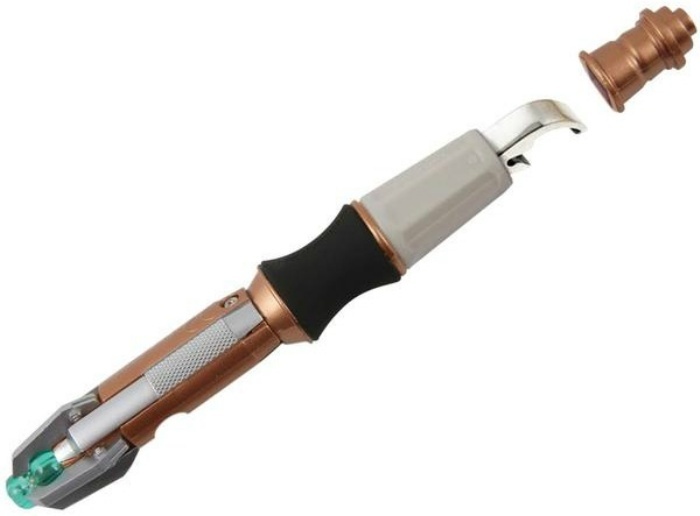 You Need One: 'Doctor Who' Sonic Screwdriver Bottle Opener | OhGizmo! By Hazel Chua on 07/29/14 • Leave a comment! When it’s not TARDIS, it’s the Sonic Screwdriver. These are two things you’ll find the Doctor constantly reaching for in times of need or whenever he feels like it. You won’t be able to get your own real-life time travel machine, but you can buy a replica of the king of all multitools that does one thing and one thing only: open your bottles of soda and beer. Having a bottle opener that looks like the Doctor’s screwdriver might be a bit of an overkill, but it’s an awesome thing to behold that’ll make you the envy of your friends every time they come over for drinks. Plus, you can totally use it as a prop when you do cosplays or when you want to dress as the Doctor at a costume party. The Sonic Screwdriver bottle opener retails for $24.